At FastFrame, our standard turnaround is a week or less. We can even offer Same Day Service with our wide selection of in-stock frames and mats. 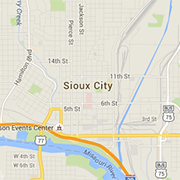 Sioux City radio stations streamed over the internet. Find all your favorites here at ConnectSiouxland.com! Offering auto, homeowners, renters, & life insurance in Nebraska, Iowa and South Dakota. Featuring Red Kap, Edwards, White Bear, Bulwark, Dickies and Horace Small apparel and uniforms. Also carrying Scrubs.